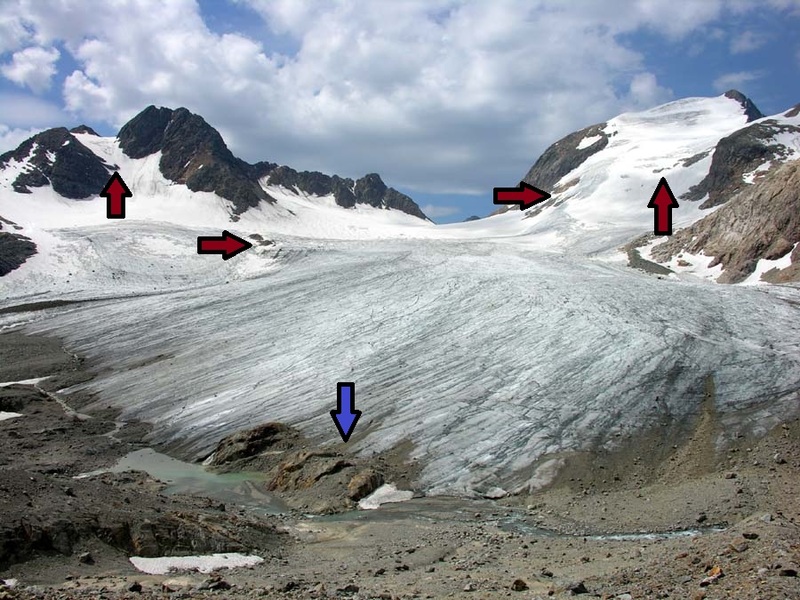 The Saint Sorlin glacier above the resort of Saint-Sorlin d’Arves has lost over 50% of its surface area since 1870. The mass balance of the glacier is measured and reported annually to the World Glacier Monitoring Service, since 1980 the glacier’s cumulative mass balance is -28 meters water equivalent, equivalent to an average loss of over 30 meters in thickness The glacier is measured as part of the GLACIOCLIM program by the Laboratory of Glaciology and Geophysics of the Environment (LGGE) at the Université Grenoble. 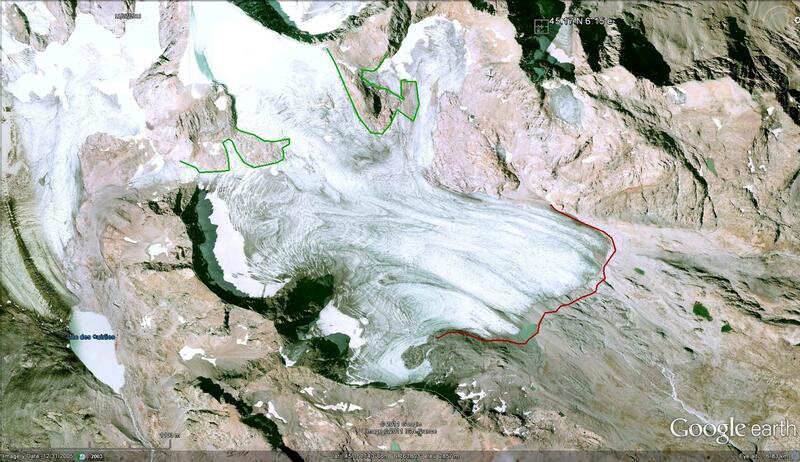 The LGGE has applied a glacier model that forecasts the disappearance of the glacier before 2100. 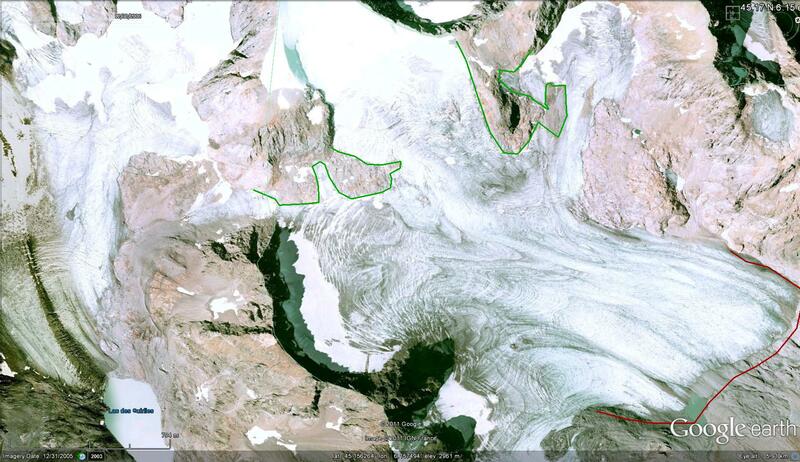 The glacier retreat and accumulation zone thinning from 2002 to 2006 are evident in Google Earth Imagery. 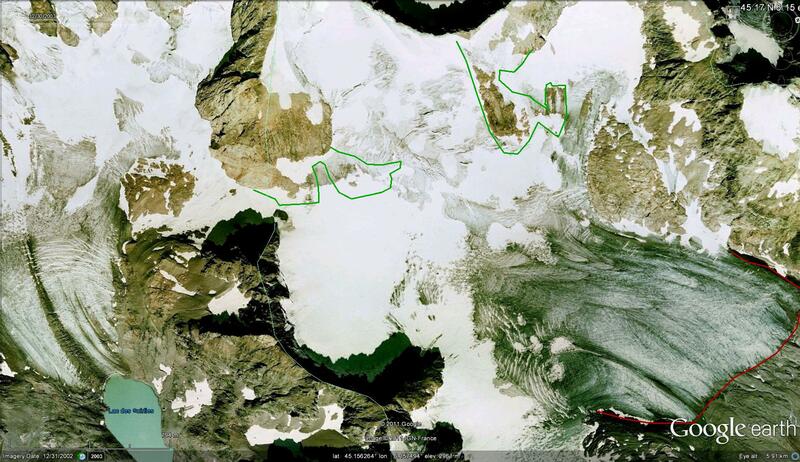 The average retreat during the four years is 60 meters, the red line in both images is the 2002 terminus position. More worrisome for the glacier is the expansion of bare rock areas high on the glacier, green lines outline the bare rock margins in 2006, which cross significant glacial ice just four years previous. . A view of the glacier from the hut beyond the terminus, from Lakiki, affords a view of both the thinning terminus (blue arrow) and rock outcrops emerging on the upper glacier (red arrows) that are a sign of a glacier that is thinning in its former accumulation zone. 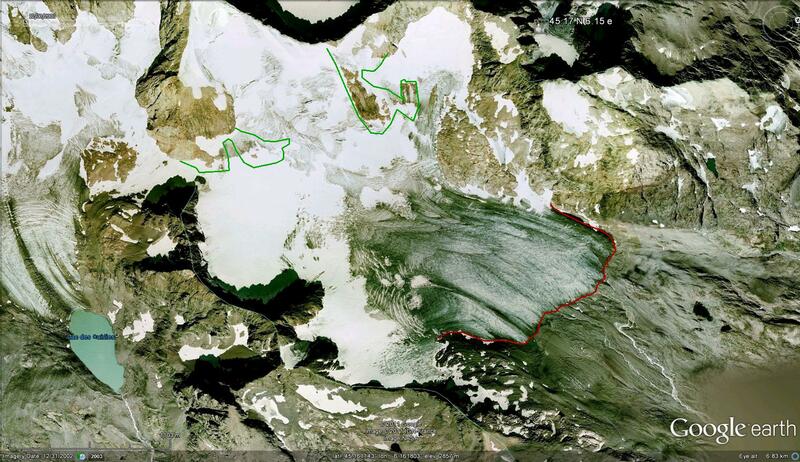 This is not a sign of a glacier that can survive (Pelto, 2010). 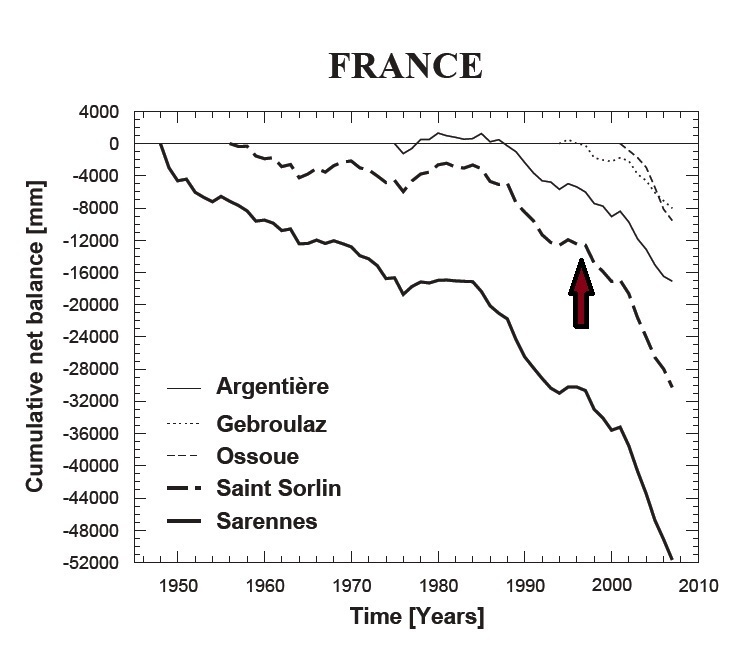 This entry was posted in Glacier Observations and tagged france glacier disappearing, france glacier retreat, saint sorlin glacier retreat. Bookmark the permalink.